Yes, touts are all around in India. And being from India, over time I have learnt the art of dealing with them. 🙂 But yes, it can be really frustrating and dampen the whole experience if its somebody’s maiden travels. Breathtaking! What a wonderful experience for you and Jade. Thank you Nancy. It all seems so real somedays and other days, not so much!!! Great photo of your daughter 😊..regarding “touts”..hmm, I do remember (years ago) being surrounded by kids in Morocco who would twirl the tassels on their fez and beg for money..other than that, the guy selling hair extensions from a cart at our local mall is seriously pretty “touty”- HA! So glad you are having fun! 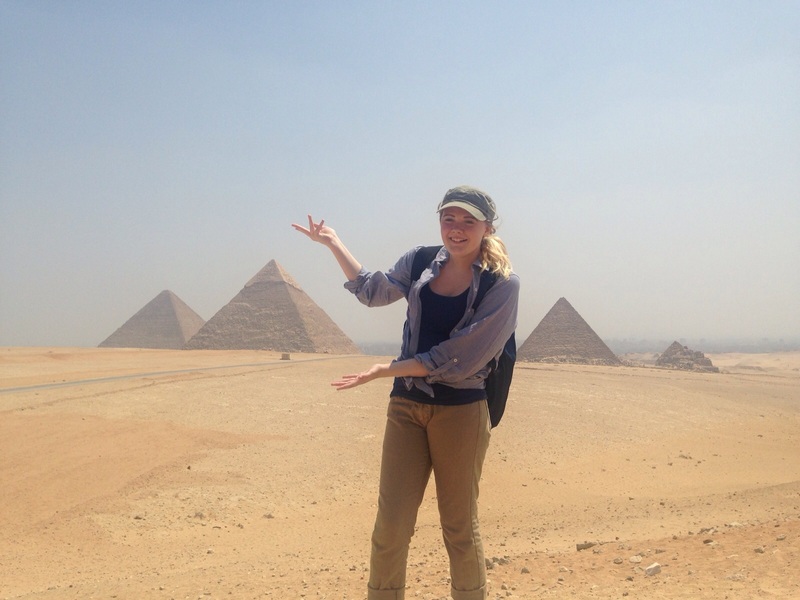 Beautiful photo of Jade and the pyramids! I’m really bad with touts, I have no patience though I try so hard not to be rude… they make me reveal a side of myself that I’d rather not! How is it in other places over there, besides the pyramids? Touts in Egypt were the worst I have ever experienced. No where since has it been anywhere as bad. Even though I was modestly dressed the entire time in long pants and long shirt, I was groped and kissed repeatedly too. We got to the point where we didn’t leave our hotel without the group. I would like to return now I’m older though. Yes I have heard all these horror stories. So far, me being older and travelling with my teen, it has just been sounds and a few calls but nothing hands on. Fingers crossed though. Really awe inspiring and I would definitely go back for another look to soak it in. So much history. Beautiful photos! Yes, we will when people come to visit us. That will be the good part of having people to show around! Thanks for the comment. Yes, it is beautiful. I can imagine it to be breathtaking. I haven’t yet been there, and heard countless stories and how tough it is to survive their insistence. You did well and thanks for the tips. Thanks Lucile. We did give ourselves a tiny pat on the back when we saw them without the huge hassle that my dad always talked about. Way to go! You two are going to surprise us all even more!! Great start! Yes, the pyramids did seem like the ideal spot to start. What I loved about the pyramids when I visited was how close to the city they were. One moment you were in an urban sprawl….the next amongst one of the most iconic sites in the world! I don’t remember the touts bring too awful when we visited, at least I think I’ve known worse. I remember Tunisia being pretty bad…. Yes, this is fascinating that they are so close to civilization. You expect to find them far in the desert. 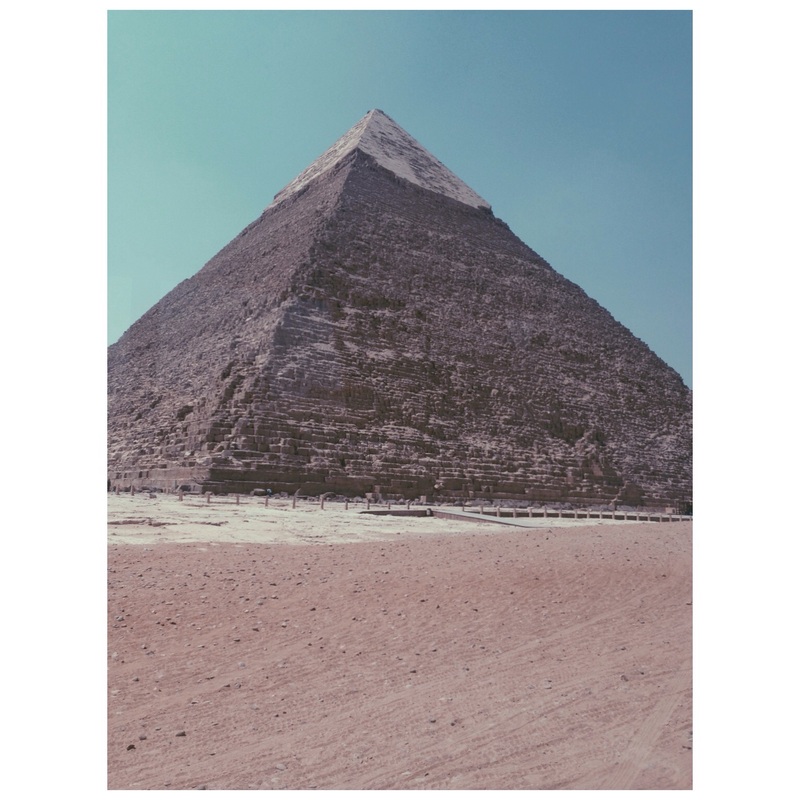 I think that if / when I ever get to see the pyramids some day, my reaction will be the same as yours … jaw dropped in awe! I wasn’t expecting it to be that way as I have seen ruins in Asia and Central and South America. But the pyramids were different! Happy to hear the garbage is gone. Yes, I guess it is a huge improvement. I actually found the touts near the Sphinx quite a bit more difficult. Both beautiful sights though, and so worth it! Yes, they changed the lay out recently of how the touts operate near the Sphinx so I think they are less challenging there now too. Great photos, and I see you managed to get away from the touts and tourists. I forgot to mention that. There were few tourists there so it was definitely manageable to avoid them. Very cool picture, I’m sure it is breathtaking to see in person. Thanks. It definitely is…surprisingly so since I have seen so many pictures of them before I thought I might be less impressive to see them in real life. But nope. I was wrong. Your picture was more impressive than any I’ve seen in history books or online. Kind of the “boots on the ground” effect. Thanks! Taken with that good ole trusty iPhone of my daughters! No big cameras here for us…just the usual.